My name is Carrie Goesel. I have two children at Burley and work full-time at a publicly traded P&C insurance company. I joined FOB a couple years ago and truly enjoy the community and spirit of this group. I believe in the value of public education and for the educational experience to be effective for our children, parents need to be involved and support the teachers, the administration and each other. Being part of FOB has helped my family feel like an integral part of the Burley community. 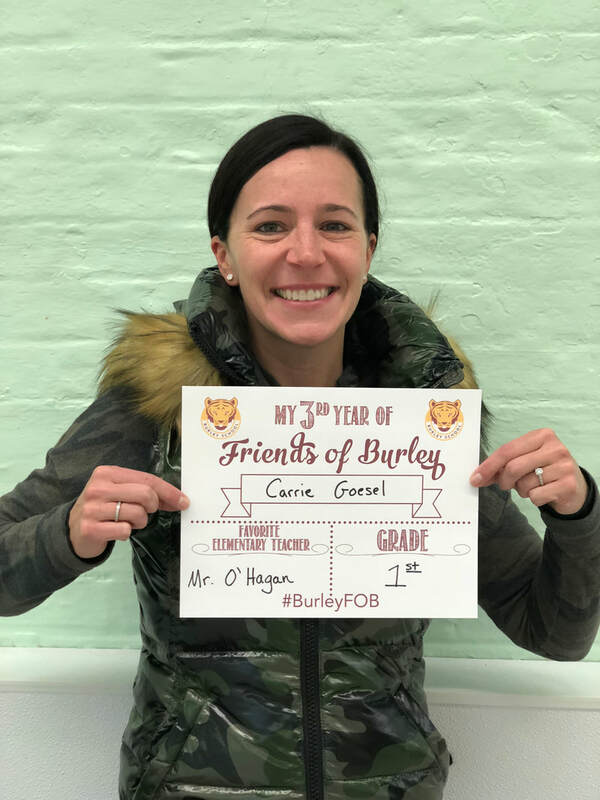 I am passionate about making a positive impact for current and future Burley families, and FOB is a great place to do just that. Since joining FOB, I have chaired our last three Movie in Burley Park Nights. While it was very rewarding to help raise money for Burley, the best part for me was having so many families come out and enjoy spending time together. Seeing the kids run around Burley park and all of the parents (and kids) lending a helping hand and/or doling out cash for concessions really showcased the depth of this community. I'm so proud to be part of it.